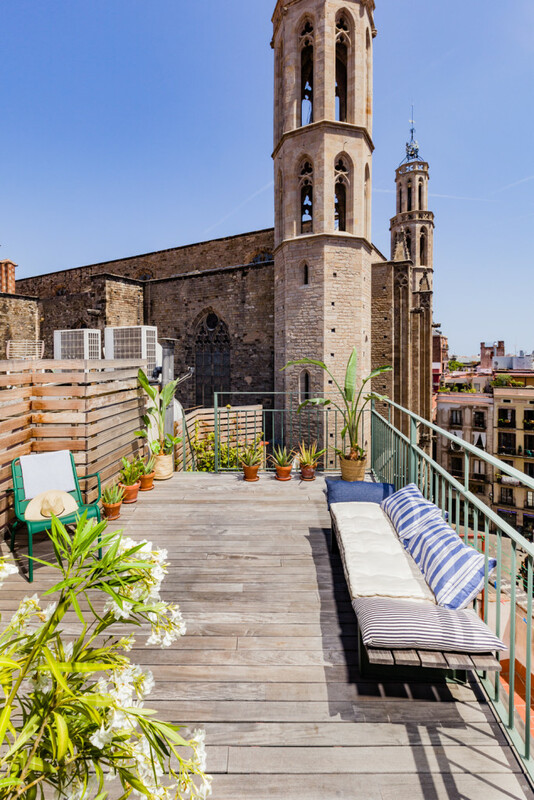 In Cosy Barcelona we are used to go through every project with a large range of clients: different culture, different language, any level of budget. 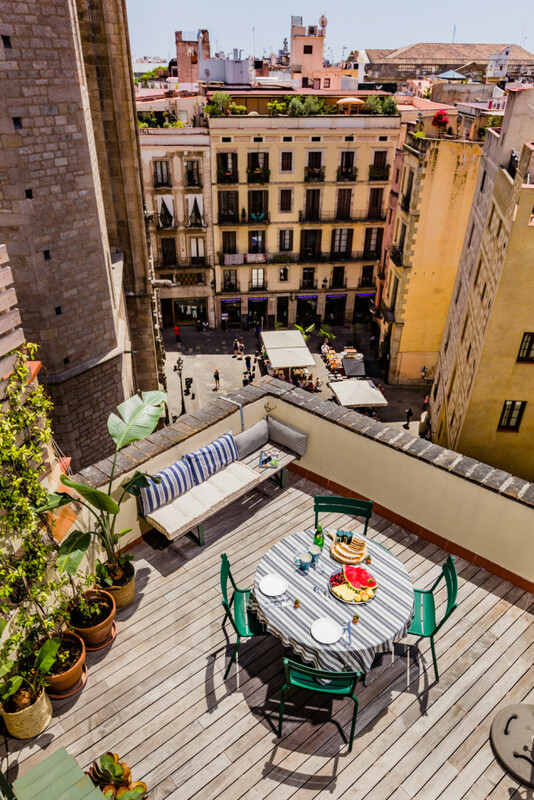 No matter what the passport says, all our Barcelonan clients in some point felt in love with our city and they choose to prepare the luggage and move to this special corner of Mediterraneo. 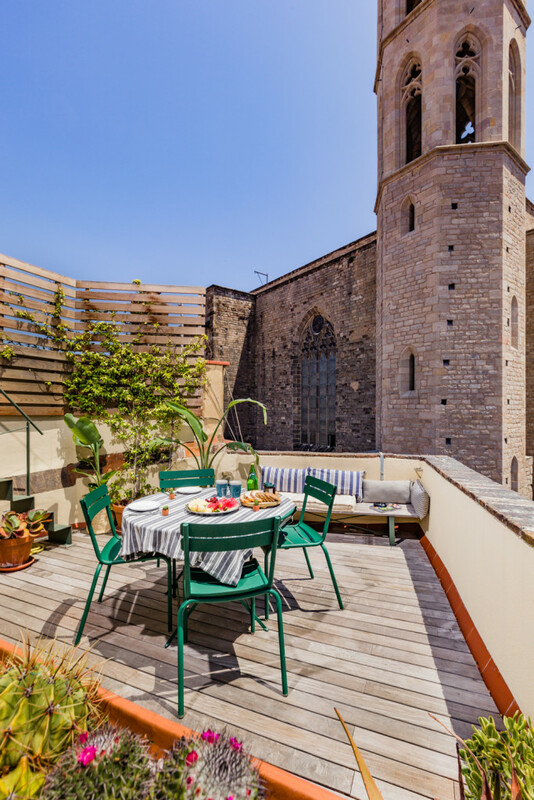 In “Santa Maria del Mar flat” the clients need was to change an old roof terrace to the coziest outdoor living room. 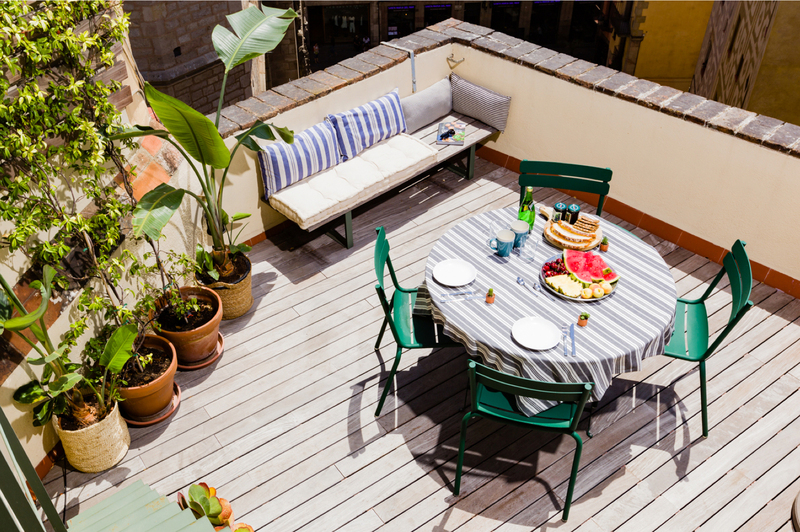 After a first fase of waterproof work, the two levels terrace was covered by a perfect solid wood floor. To keep a sense of privacy between neighbors, the same geometry and language is spoken by the wood panels added to the perimeter walls and the finishing of the comfortable on size benches. 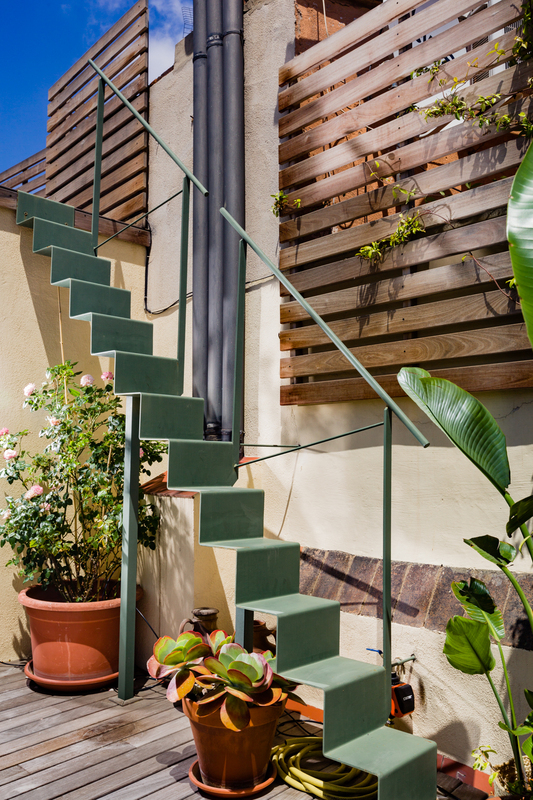 To connect the outdoor living room and the upper solarium we draw an on-size Origami Stair, a minimal concept and elegant option for this amazing terrace. After all, a picture is worth a thousand words: we love Barcelona!! !